BLACK has always been the chicest color in fashion. This is now also true in the home. Black furniture and home accessories have come a long way from the 80’s bachelor pad. Now, this favorite moody hue comes in an array of very stylish home decor choices! Feeling a little daring? Check out some inspiration photos to get your wheels turning. Plus, I have included some products that I thought would be great choices if you want to incorporate black in your home. 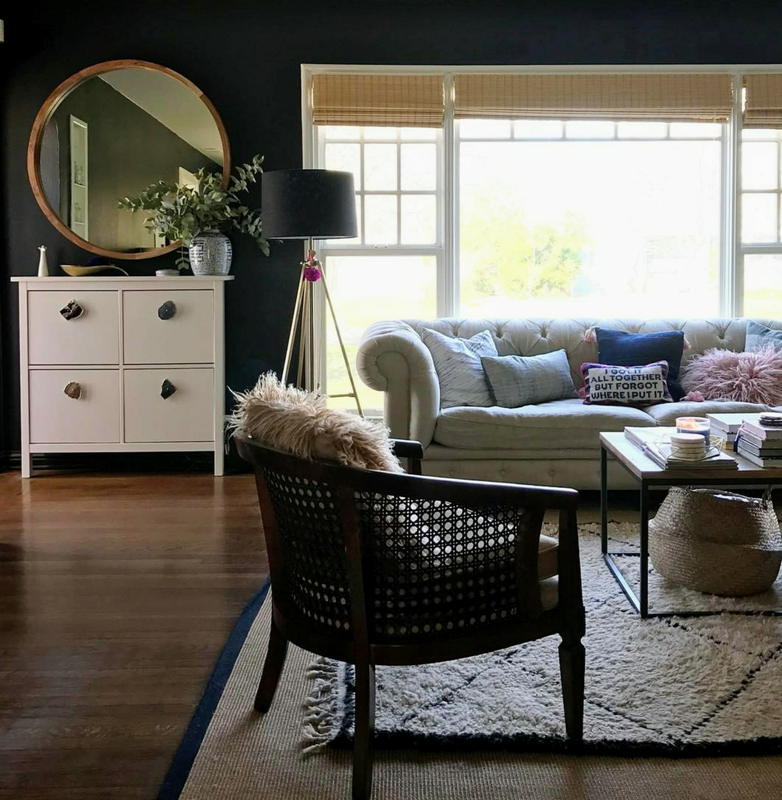 If you have a bright and sunny room, then you can probably get away with painting your walls black. Contrary to popular belief; my opinion of dark walls is that they may actually make a space feel larger because the walls “disappear”. (Kinda like how I wear black shirts to make my gut disappear 😣). However, a space with dark walls might feel “heavy” so sometimes a smaller room with lots of sunlight might be better suited for dark walls. 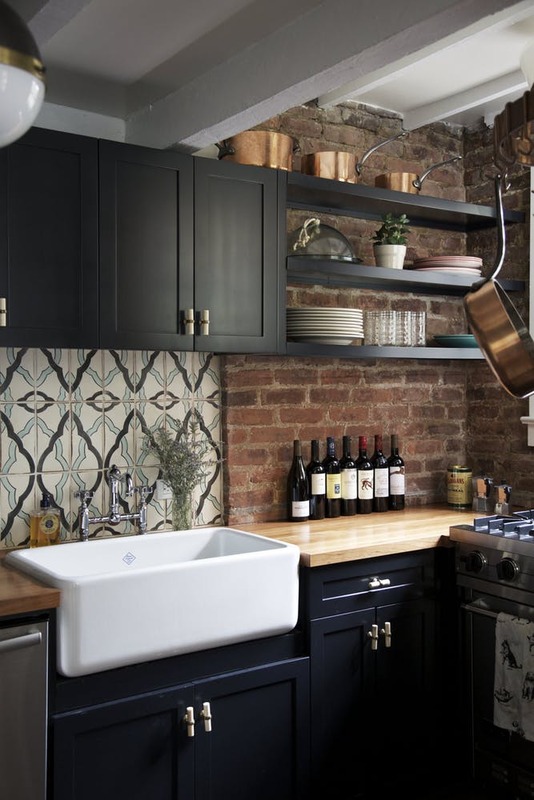 I know white cabinets have been all the rage lately, but black is definitely making a very strong comeback. 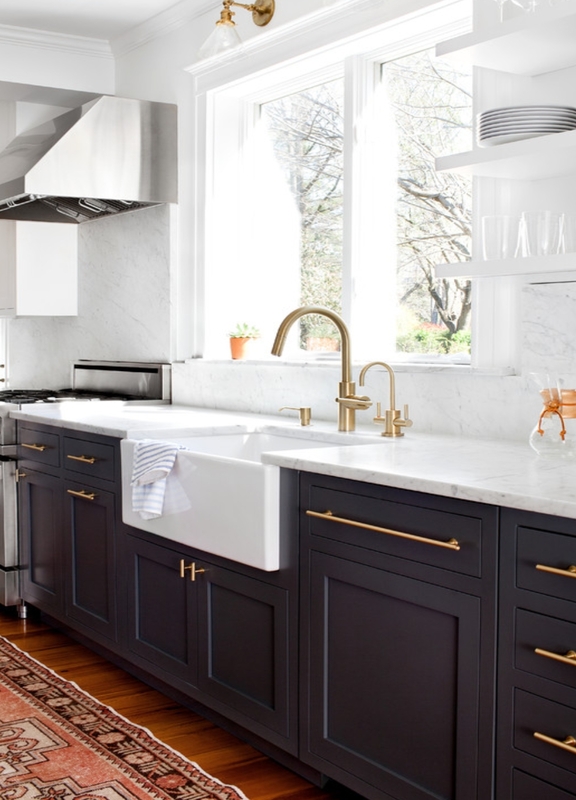 Especially in the kitchen, but black cabinets look great in a bathroom also. There is something so intriguing about a black door. A front door painted glossy black immediately draws attention to a home's entrance . Interior doors in black add sophistication to an otherwise ignored hallway, bedroom or bathroom entrance. 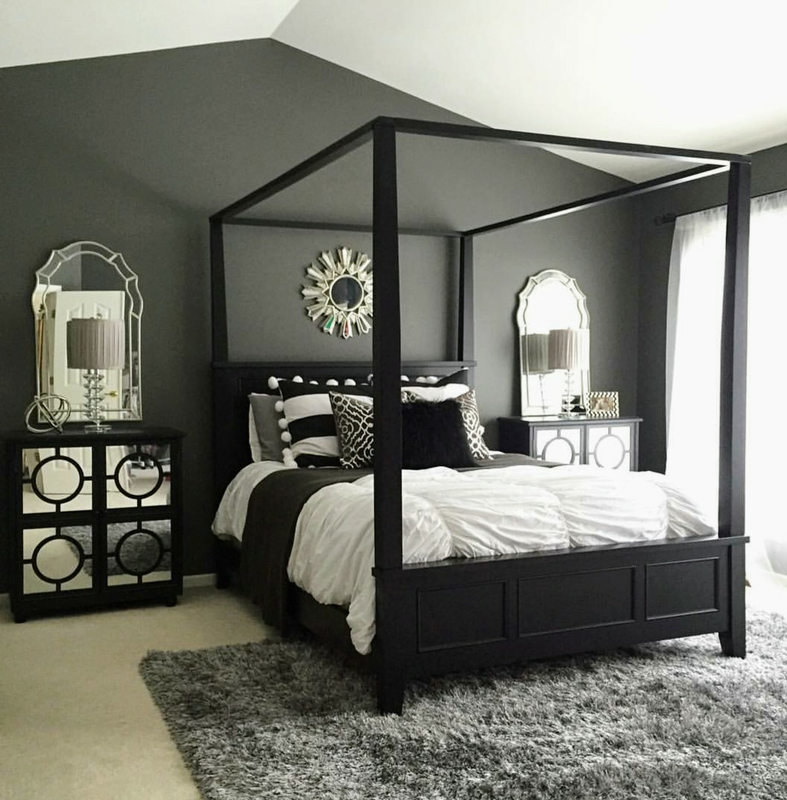 Not only is black furniture stylish, it's also forgiving! 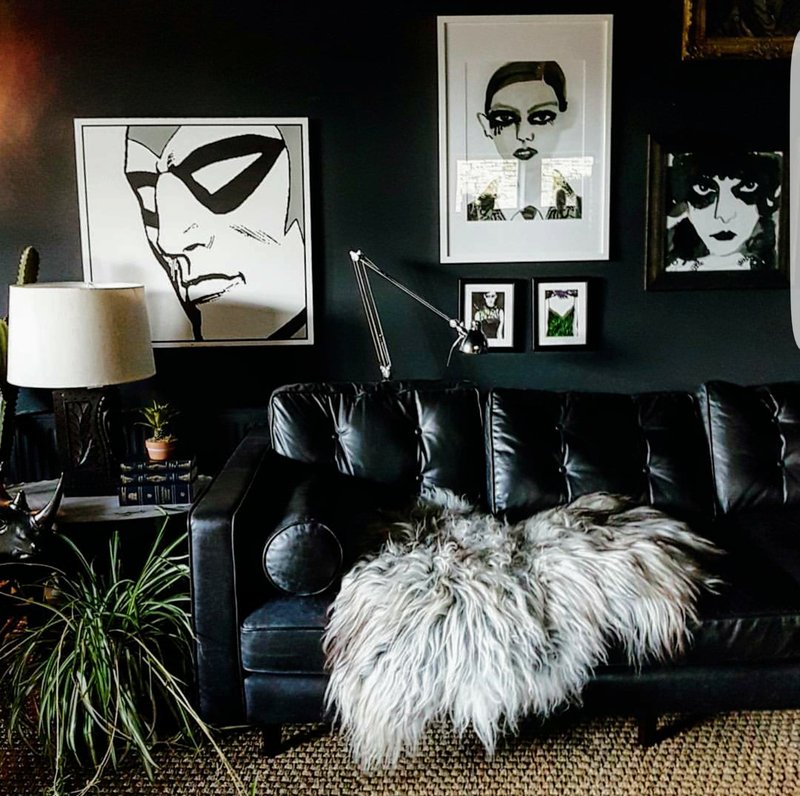 Anyone who has pets or kids can definitely appreciate a dark-colored sofa or chair and going for black means you get function AND style. In other words, you can have your cake and eat it too! Want to make your place looks more upscale without breaking the bank? Switch your lampshades to black shades! A black lampshade instantly transforms a mediocre lamp into a lamp of style. 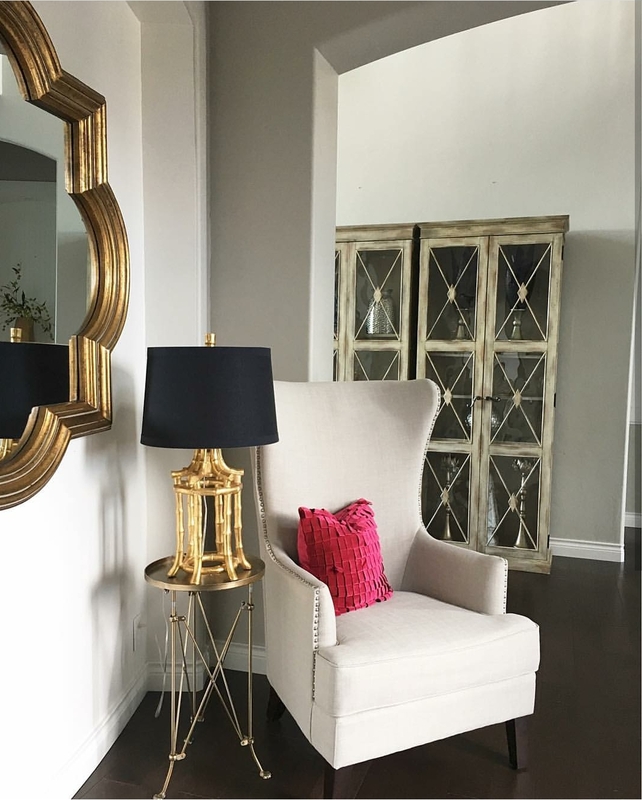 Or, invest in some new lighting and look for lamps and sconces in black finishes. 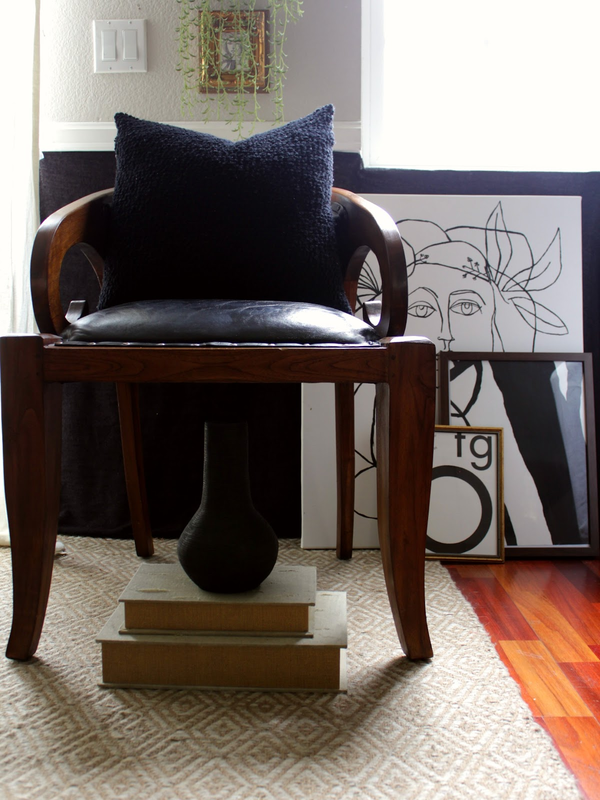 If you want to add just a touch of the color black to your home, then do it with accessories. It's amazing how a few black pillows and a black vase can change the look of your room. 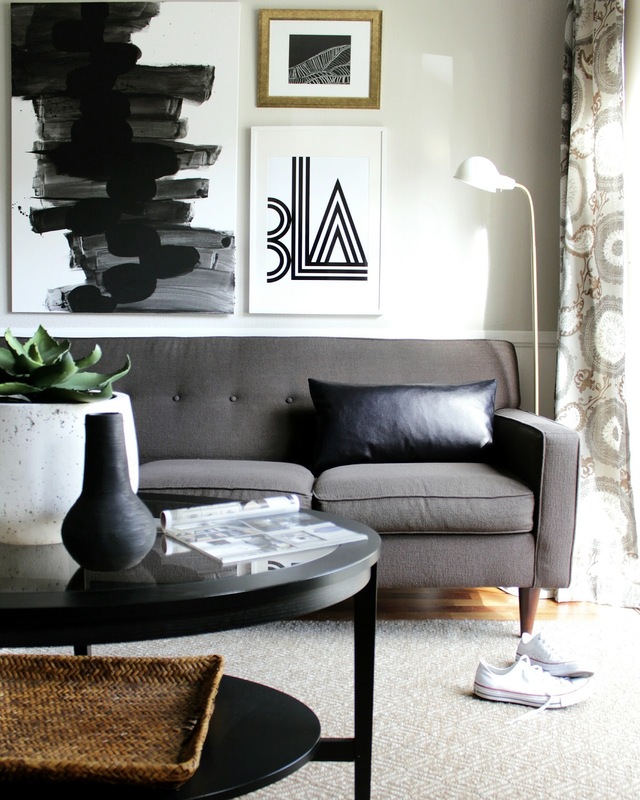 Don’t be afraid to be a little daring with black in your home! If you want to take baby steps, then add a few accessories. Or just go all the way and paint a room black! So what do you think? 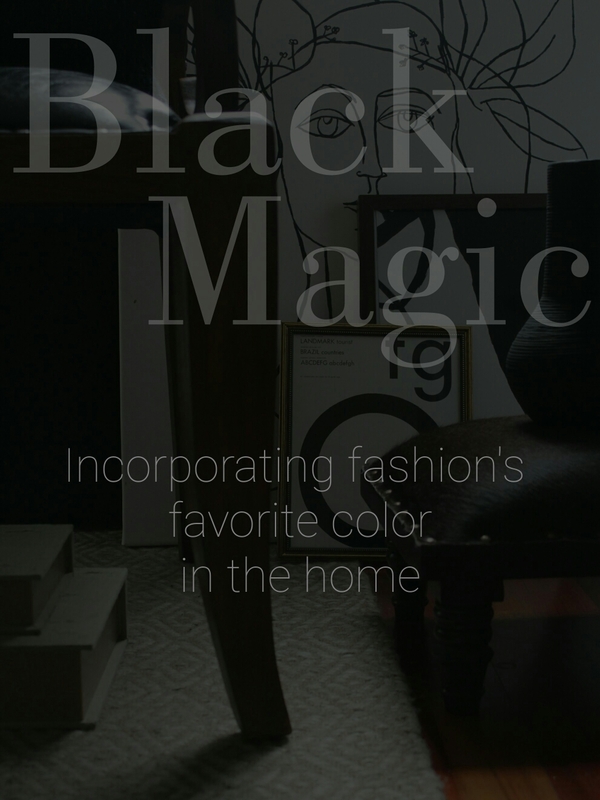 Are you ready to add a little black magic to your home? Let me know! I love to read your comments!